Web Hosting Industry in India is thriving at a great speed. There are a number of home-grown web hosting companies in India they are developing at a very fast pace. Thanks to the opportunities available in India many global web hosting companies have also started focusing on the Indian subcontinent. One such name that comes to the mind is the fast-growing home-grown web hosting company, Big Rock Web Hosting. The company has stunned the hosting worked by reaching the exclusive milestones in a relatively short span of time. A strong contender of BigRock Hosting company is Hostgator, one of the most reputed companies providing web hosting services. This article is aimed at reviewing both of them and determining which one is the better choice. However, in order to evaluate the success of any web hosting plan, it is important to see how far they are able to serve the clients of a specific country. So, let us evaluate BigRock and Hostgator from this perspective. What does an Indian client look for? The Indian clients have evolved over the time. Budget is still an important factor that affects their decision. Quality support is equally important to instantly tackle any issues before they affect the business. Other factors include scalability, easy migration, a wide array of hosting options and business-specific tools required for bringing a business online and maintaining it. Big rock is the Indian company that enjoys a good share of popularity among the website owners due to its fair prices and availability of almost all the essential, associated products. Another strong point of this ICANN accredited domain registrar is the availability of reliable DIY web builder package that takes makes the initial journey easier for clients with a limited budget who don’t have a coding background. Some other products offered by big rock include SSL certificates and email packages. The registration process is easy and straightforward. Support is great too. India offers a favorable ambiance for start-ups. The affordable plans, infrastructure toolset, availability of associated products and premium support make BigRock the best hosting partner for start-ups. There are a large number of Indian bloggers whose blogs are powered by Hostgator. Apart from the modestly priced packages the WordPress Support and easy scalability also make Hostgator a preferable partner for the bloggers. Of late, Hostgator has also introduced a number of features that are specifically beneficial for the businesses and it has further widened its base and added a number of Indian SMEs as well as MNCs to its client base. You can expect the quick and precise support each time you place a query- right from the simple issues like knowing about hosting panel operations to the specific complex issues like the migration of blogs or file corruptions. Apart from the popular communicating methods like email and ticket support, Hostgator also allows you to contact them via live chat or one on one support via telephone that is the ideal solution for businesses facing blockages due to technical issues. Availability of uncomplicated plans, unlimited availability of resources like bandwidth, space etc. and reasonable prices make Hostgator the best option for Indian bloggers as it helps them to manage their blogs efficiently through each stage of evolution. But the USP of Hostgator remains its extreme support that is a great asset when your blog faces traffic fluctuations or instant demand for resources. • If you are an Indian blogger or wish to host a personal website with limited requirements then hatchling plan is perfect for you. Apart from modestly prices the plan also takes the scalability to the next level due to unlimited disk space. It can easily host a single website without any issues. • The baby plan is the next stage the allows you to easily host as many as 5 WordPress blogs without feeling any restrictions in terms of resource or quality. Apart from the size, the other technical specifications are largely similar to that of hatchling plan. • A business plan is the most advanced plan among the three and helps the small business owners to host their websites for maximum performance and an ideal speed. It offers a toll-free number and a dedicated IP. In addition, it also offers provides private SSL that is definitely a valuable addition as it establishes the security of a site. Why would Indian clients prefer Hostgator? Uncomplicated plans, unlimited resources, modest prices, scalability, easy website builder and Single click Word Press installation makes Hostgator the best choice for Indian clients with reasonable demands. 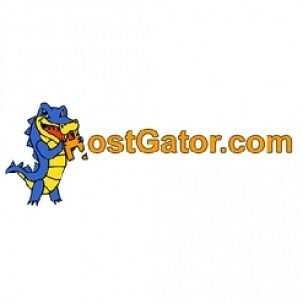 But the USP of Hostgator remains its excellent support with the help of seasoned support staff. Big Rock thrives on the easy, zero code website building provision that offers to the non-technical clients who can’t afford to hire expensive programming professionals for building their site. Unlike other DIY website builders that lack the professionals, Big Rock’s website builder offers the clients a premium toolset and streamlined ecosystem to build websites with an absolute professional character that allows them to step into the digital arena with élan. The support is reasonably immediate and precise. The team consists of efficient staff with decent knowledge. The streamlined approach and team coordination help the support team to handle even the complicated technical problems with dexterity. • Big rocks economical plans are based on the essentials only no-frills approach with a major focus on keeping the prices low. For example, its big rock starter plan that comes with bare basics (without email ID) starts from an inviting price of Rs. 58 per month. • Apart from that big rock also offers reseller hosting plans. Flexibility and ease of use are the key focus points of big rock and reseller hosting is not an exception here. One click Word Press Install makes the life easier for the resellers while the other web scripts also follow an easy route. Regular server monitoring ensures the quick action plan to combat hack attempts or malware issues. The premium grade antivirus tools help it in ensuring the safety of its servers. • Big Rock offers services for various popular formats including Windows hosting, Word Press hosting, Joomla hosting, Reseller hosting and E-commerce hosting. Why would Indian clients prefer BigRock? Indian start-ups and SMEs would like the easy installation, website builder with premium features, scalability, premium grade antivirus tools and regular monitoring. In short, it combines the scalability and security and also aligns well with a corporate character that offers the required confidence to the start-ups to start their online journey. If you are an Indian blogger or a small business who is more concerned about unlimited resources rather than value-added premium features then Hostgator is clearly an ideal company for you. Along with uncomplicated plans, unlimited resources, the great support via multiple communication channels are a few things that make Hostgator an ideal choice for you. Big rock offers multiple premium-grade features to allow you upgrade your online infrastructure to align with different phases of your entrepreneurial journey. It is clearly a welcome feature for Indian Start-ups and SMEs that expect to develop in the future and would like to add premium features to their online infrastructure elements. The company also offers a better control over your budget by offering different packages priced according to the features. Nitin is freelance digital marketer with satisfied clients. Nitin has been in the industry for over six years and is very keen on personal service. 7 Reasons Why You Should Buy VPS Hosting Plans?